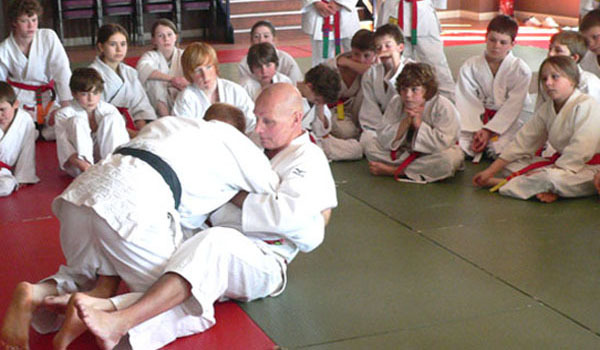 Sensei Juergen Klinger 6th Dan, former Olympic German judo coach, starts with a fun warm-up. 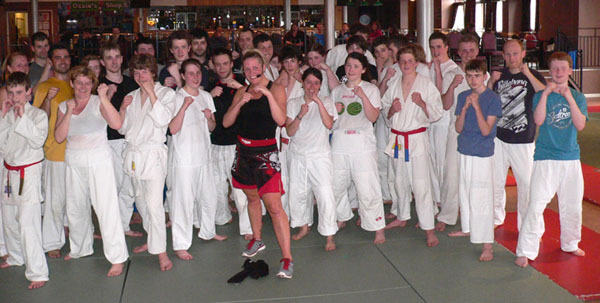 Seniors and older juniors all look on before having a go. 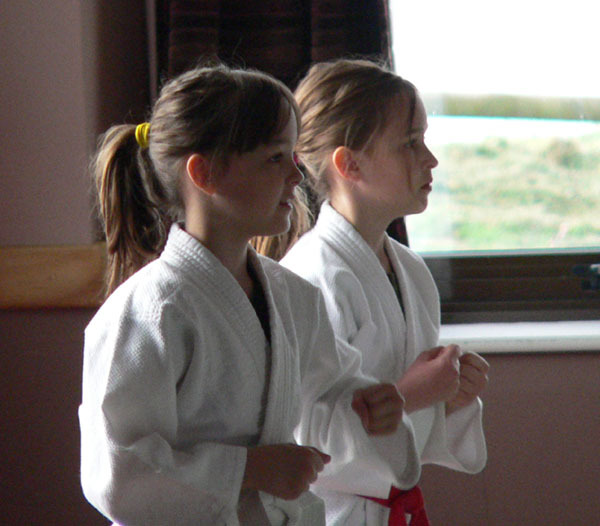 Two sisters, beginners, having a go. Pow! 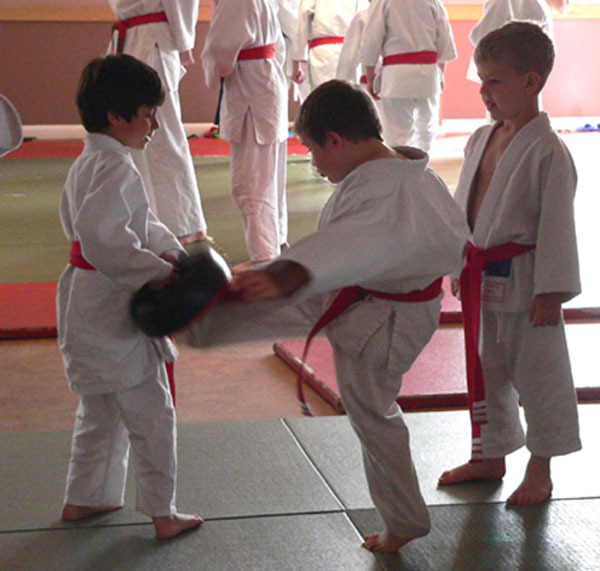 Kicking the pad during taekwondo. 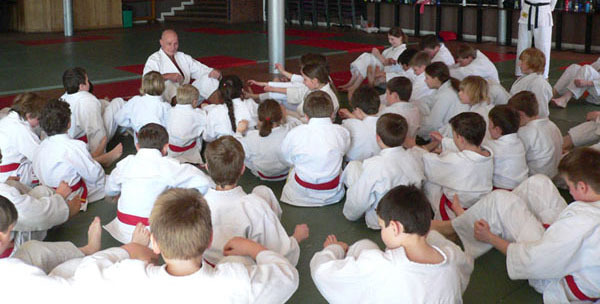 Sensei Steve Clarke, regular guest, with his students, gives instruction. 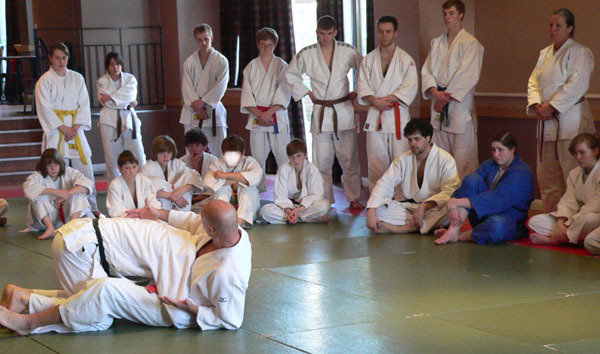 Black belts Tom and Martin - display of throws. 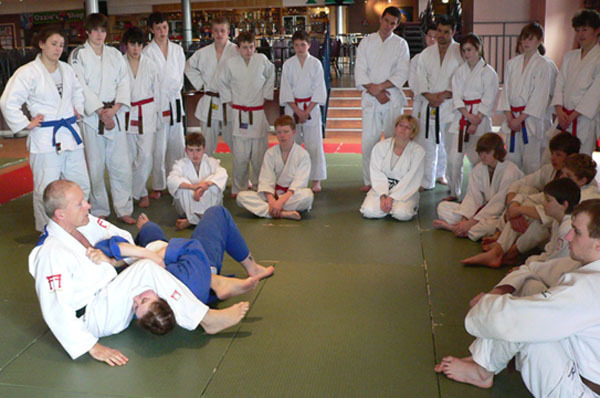 Junior display team show a remix of Nage No Kata.